As a mediator and trainer, Fred Stern has a wealth of experience in the field of conflict resolution and training with businesses, families, adolescents and a wide array of individuals and community groups. 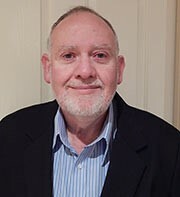 As both a past mediator at the Noble Park Family Mediation Centre, and co-ordinator of a mediation service in Geelong & Glenroy, Fred brings a wealth of experience and knowledge to the area of conflict resolution and in particular mediation. In his private consultancy practice, Fred has trained over 500 workers from a broad range of professions including, teachers, community workers, youth workers, health professionals, the clergy and business people. Fred estimates that he has currently trained over 600 students at both the primary and secondary level. Fred’s work with schools has earned him two awards. Fred has recently taken up a position as a facilitator for D.A.R.T. (Defence Abuse Response Taskforce). Fred’s other passion is his work as a principal instructor in the field of mental health training. Meredith Fuller’s many concurrent careers have included author, actor, playwright, columnist, talkback radio host & guest, TV show panellist, theatre director, psychological profiler and lecturer. Not to mention her day job, a psychologist in private practice, providing counselling and career development to individuals, couples and groups. She has consulted to organisations on career development and change for over 20 years. 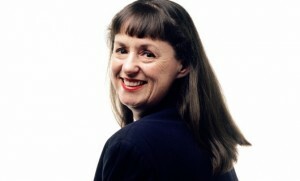 Meredith is a recognised specialist in career change. She ran a university careers counselling service for 12 years and has been a sessional lecturer in postgraduate courses in vocational psychology at several universities. Meredith is also a media spokesperson for the Australian Psychological Society.